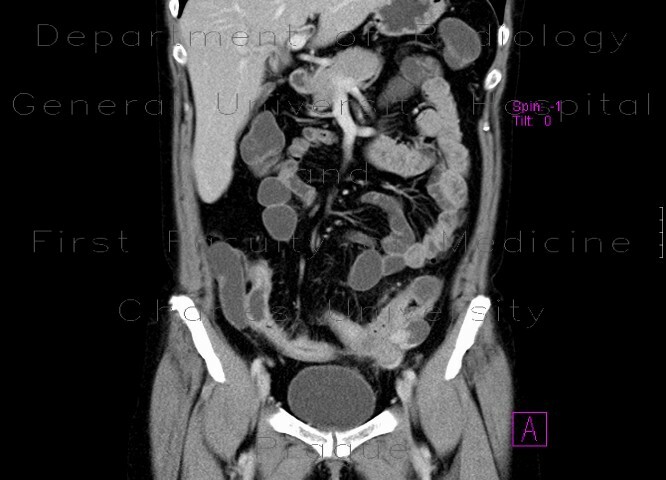 Several loop of aboral ileum with thickened, enhancing wall, engorged vasa recta, pseudo-sacculation. Fistulous inflammatory infiltrate assuming a part of sigmoid colon, which is stenosed. The stenosis is gradual, smooth - this suggests inflammatory stenosis rather than carcinoma.